To keep clean your mask overtime and to longer their expected age, you must clean your cpap equipment daily, fortunately cleaning cpap equipment is not that hard. That’s how to clean cpap mask (it’s the same way to clean other parts as well) daily, but you need to disinfect your cpap mask sometimes too (usually 1 week), weekly cleaning is almost same as daily cleaning what differentiate it just the ingredients. Instead using warm water and mild soap use vinegar and water to disinfect the mask, to use it mix vinegar with water (2:3, Vinegar: water). Rinse your mask well and pick it up for air dry. These simple steps will remove oil or any other dirt that has been stick in your mask, not to mention your mask seal will not tear soon. 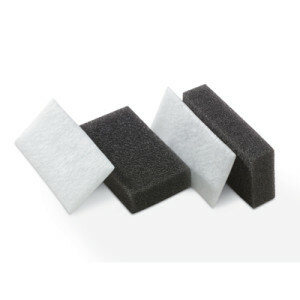 There are 2 part that cpap filter have. First, is Grey and the second one is white (this filter is disposable) you can only clean the grey one, do not try to clean white filter since it’s disposable filter (you need to replace it when it’s dirty or in 1 month). A dirty filter will make your machine work harder thus can make it noisier and have higher temperature. If you have a humidifier you need to clean it too, like cleaning any other cpap part you need a warm water with added mild soap and take water chamber from humidifier (it should be empty) wash well and rinse it to let the water out of it, let it empty for a day. You can refill it when you want to use it. To wash headgear, you need to separate it first from the mask. You can wash it biweekly or once a month. To clean headgear, you must use mild detergent and wash it gently after that hang it for air dry. When your cpap tube become yellow or appear dirty (usually 1 week) you need to clean it to prevent live of bacteria or other creatures. Mix vinegar with water (2:3, Vinegar and Water) then drawn cpap tube in it to let water soak into it, wait for 30 minutes and wash it with clean water, rinse well and let it air dry. This entry was posted in Cpap and tagged how to clean cpap mask on April 10, 2016 by Admin.